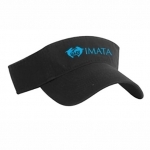 100% polyester cap with nylon mesh back, polysmap closure, and foam front panel. 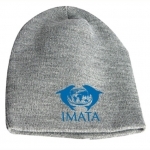 Emroidered with IMATA logo. Black.